The Battle of Corregidor was a very important part of the Japanese conquest of the Philippines because of its location and Manila Bay, one of the best natural harbors in the Far East. The problem for the Japanese was that the island was basically a fortress. That is what earned it the nickname "Gibraltar of the East". The Battle of Corregidor concluded on May 6, 1942 with the Allied forces surrendering to the Japanese. The fall of Corregidor signaled both fall of the Philippines and Asia at that point in World War 2. Corregidor had a complicated tunnel network and impressive defensive capabilities with fortifications at the entrance to Manila Bay, as such it was the last obstacle for the 14th Japanese Imperial Army under the command of Lieutenant General Masaharu Homma. The Japanese were set on taking the island from the Americans, it was important for them to have control and free use of Manila Bay. Of the islands in the bay, Corregidor officially called Fort Mills was the largest and it was the main protection of Manila Bay against attack, being fortified before the first world war with strong artillery it was believed to be impossible to capture. One of the tunnels in the Malinta Tunnel system was used by General MacArthur as his headquarters and the remaining space in the tunnel system was used to house a 1, 000 bed hospital and storage facilities. 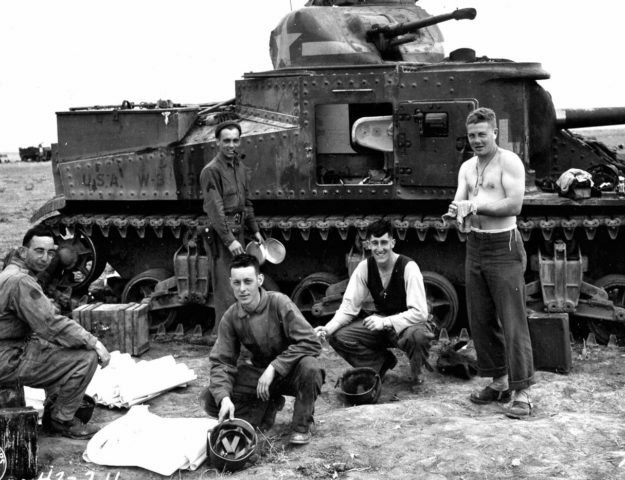 Allied AA crew at Corregidor. Mortars at Corregidor's Battery Way could be rotated to fire in any direction. of Japanese bombardments. The Japanese leveled or at least damaged anything on the surface of Corregidor, and this was just the beginning of the Battle of Corregidor as the Japanese would continue to bomb the island for the most part of January 1942. In the night of March 12, 1942 MacArthur on orders from President Roosevelt was evacuated from Corregidor to Australia. This was the day when he made the now famous quote "I shall return", before departing he left Gen. Jonathan Wainwright in charge of the island. Despite heavy bombardment from both aircraft and artillery the Allied forces managed to stay their ground in the Battle of Corregidor. The forces resisting the Japanese were mostly made up from the 4th Marine Regiment with some Filipino soldiers, despite their disposition they inflicted heavy losses on the Japanese. Their problem was that they were running out of ammunition, food and water. The Japanese continued bombing without pause, during the battle the Japanese had 614 missions in which they dropped 1, 701 bombs, a total of 365 tons of explosives. Along with the aerial bombing the Japanese used 9 240mm howitzers, 34 149mm howitzers and other artillery with which they attacked Corregidor day and night. Since the battle it has been estimated that on a single day more than 16,000 shells hit Corregidor. On May 5, the Japanese launched their final attack on Corregidor. 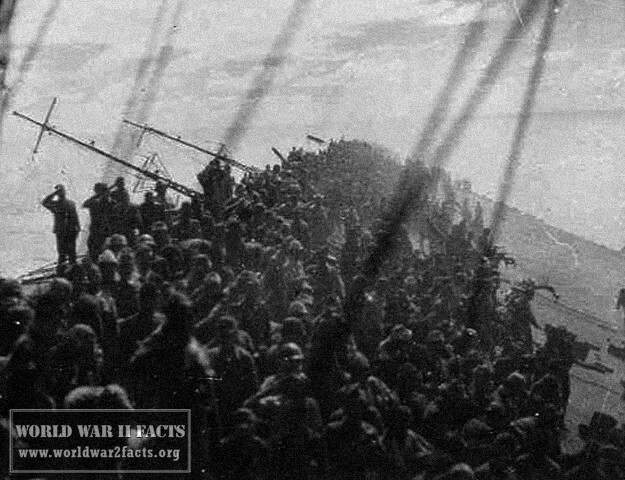 Before midnight they began heavily shelling the beaches between Cavalry Point and North Point. The Allies resisted as best they could but they were not much of a match for the well equipped Japanese. The defenders didn't have much choice but to gradually pull back and since they didn't have any reinforcements they would quickly lose the battle. Colonel Howard send his last reserved, consisting of 500 marines into the battle. Despite doing their best to get to the battle as soon as possible the Japanese got reinforcements as well. Malinta Tunnel headquarters in Corregidor. Allies at this point was the Malinta tunnel system, or more precisely the hospital inside that had a thousand wounded men in it. Realizing that their defenses wouldn't last much longer and taking into account that the Japanese are just going to keep sending reinforcements until they win the Battle of Corregidor, General Wainwright decided that instead of sacrificing the lives of his men he should just surrender. He officially surrendered on May 6, 1942. 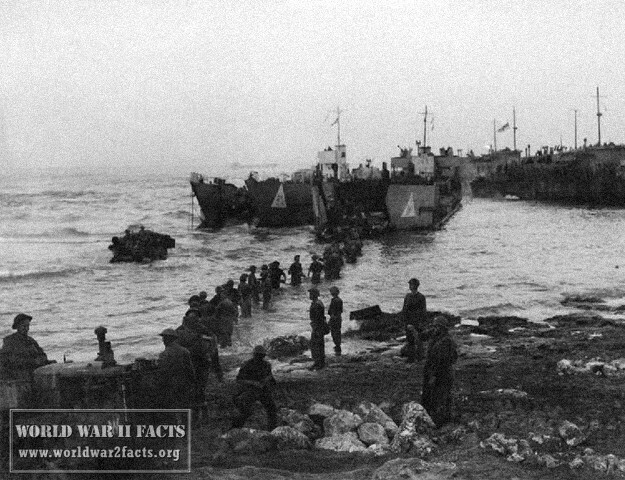 The surrender was not only a nightmare for the Allies but surprisingly for the Japanese as well. They didn't have enough trucks to transport the 70,000 prisoners and they had do a forced march as it was the only way to move the prisoners. 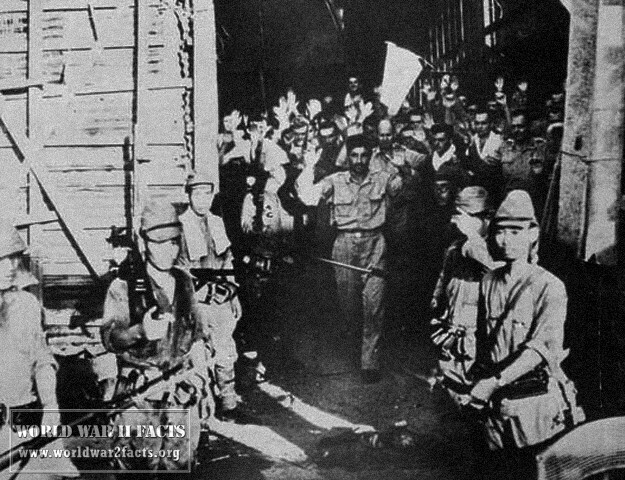 The Japanese also didn't have enough food and medicine for them and to top things off the Japanese considered the captured men cowards for surrendering. During the march about 700 Americans and between 5,000 to 10,000 Filipinos died. They died from malaria, starvation and some from sheer exhaustion. The men were taken to Camp O’Donnell where, without enough food or water and disease ridden 1,500 Americans and 20, 000 Filipinos died in little over a month.